Donald Trump once claimed he could get away with shooting somebody on Fifth Avenue. 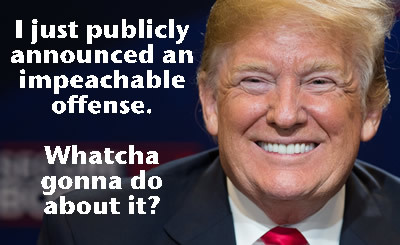 Can he get away with publicly announcing impeachable offenses? Let's make the answer be No. Learn more here.